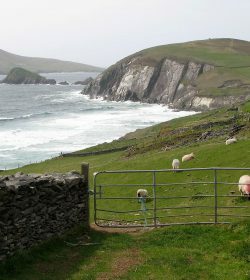 Are you looking for a private guided Ring of Kerry Tour tailored to your group? We provide a luxurious nine-seater minivan, complete with soft leather seats, air-conditioning, and plenty of leg room. 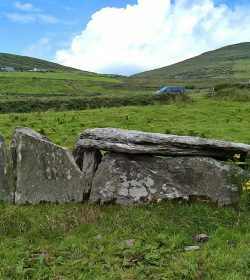 It is no surprise that visitors have been attracted to this dramatic and beautiful part of Ireland since Victorian times. 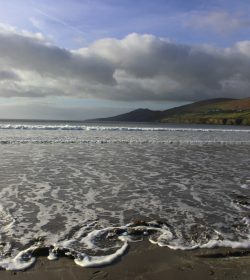 The Ring of Kerry winds its way along 179km / 112 miles of scenic coastline and countryside. 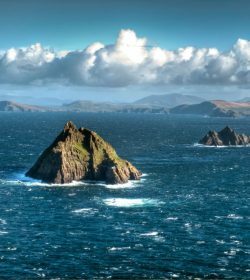 The Skellig Ring, described by Lonely Planet as “Ireland’s most charismatically wild and emerald stretch of coastline” is a must do for ‘Star Wars’ fans. 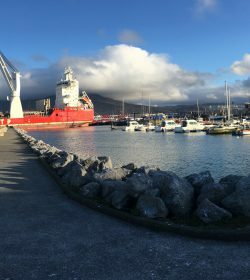 Skirting the McGillycuddy Reeks, home to Ireland’s highest mountain, the route passes through charming slate-roofed fishing villages. 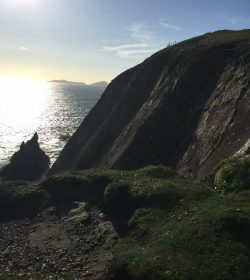 It is a natural wonderland of ruined castles, mysterious Iron Age stone forts, soft blanket bogs, as well as panoramic views of the Atlantic, where the UNESCO World Heritage site of Skellig Michael soars from the ocean. 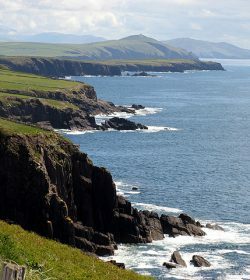 The view from the top of Coomakista Pass overlooks Derrynane Harbour, Scariff and Deenish Islands, Kenmare Bay and the Atlantic Ocean. On the return journey we drive through the 26,000 acre Killarney National Park, Irelands’s oldest park, where glacially sculped mountains cradle three large lakes. 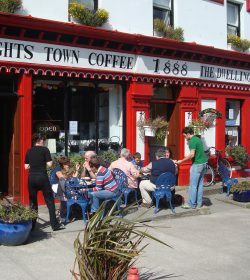 From Killarney we head for Killorglin, famous for its 400-year-old Puck Fair festival. 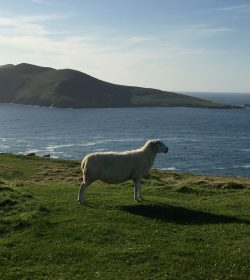 Options for site visits include Kerry Bog Museum for a tour of a replica 18th century famine village; or visit a Sheep dog demonstration. 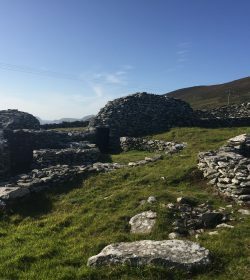 A scenic drive on The Wild Atlantic Way brings us to the 1000 year old Iron Age stone forts outside the town of Caherciveen. 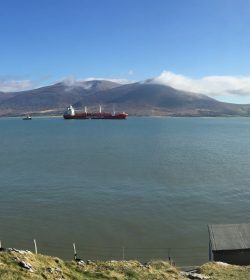 Here we leave the main Ring of Kerry for a tour of The Skellig Ring, voted one of Lonely Planet’s top places to visit in 2017. 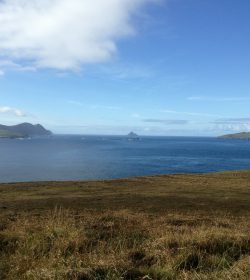 This Ring includes a visit to peaceful Valentia Island, The Kerry Cliffs, close up views of Skellig Michael – more famous as a Star Wars movies location, a chocolate factory and much more, before heading back onto the main Ring of Kerry and the photogenic Coomakista Pass, and panoramic views of Kenmare Harbour. 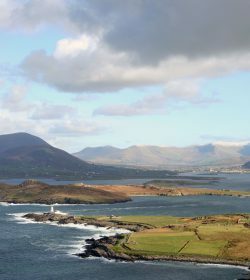 The colourful village of Sneem affords you a welcome rest stop, before heading back to Killarney over ‘Molls Gap’ mountain pass and through the 26,000 acre Killarney National Park, taking in the world famous ‘Ladies View’. Home of Puck Fair, one of Ireland’s oldest festivals, Killorglin is situated on a hill overlooking the River Laune, famous for its salmon and trout fishing. 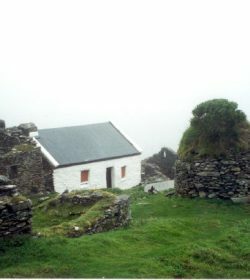 Even on a misty day, the view of Derrynane you get from the Coomakista Pass will stay with you forever. Derrynane House & National Park was the home of one of our most famous Irishmen, Daniel O’Connell, better known as ‘The Liberator’. This imposing fortress is thought to have been built somewhere between 300 and 400 AD as a defensive stronghold for a local lord or king. 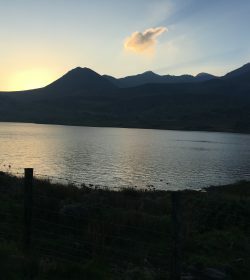 A pass on the road from Kenmare to Killarney, Moll’s Gap commands some stunning views and is also home to the charming Avoca shop and restaurant. 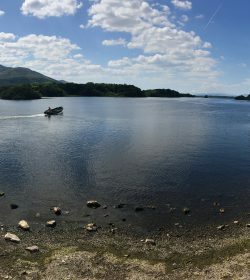 Ladies’ View gets its name from a visit by Queen Victoria’s ladies-in-waiting during the royal visit to Killarney in 1861. You will be as taken as they were by a view so arresting it was named after them. The view here is probably the most famous of Killarney. This 19th-century Victorian mansion is set against the stunning beauty of Killarney National Park. The house stands close to the shores of Muckross Lake, one of Killarney’s famous three lakes.